VIERA, Florida -- U.S. 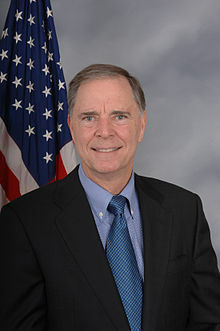 Congressman Bill Posey will deliver the keynote address at this year’s Space Coast Prayer Breakfast to be held on Thursday, May 2, 2013 at 7:30 AM at the Holiday Inn in Viera, Florida. The Space Coast Prayer Breakfast is part of the National Day of Prayer which was officially established in 1952 by an Act of Congress. The bill, signed by President Truman, directs the President to issue a proclamation each year urging Americans to engage in prayer or meditation for our nation. The Act was updated in 1988 to designate the first Thursday in May as the National Day of Prayer. The tradition was originally set by the Continental Congress and later by President George Washington with his proclamation in 1795 declaring a day of public thanksgiving and prayer. The date for the 2013 National Day of Prayer is Thursday, May 2, 2013. For more information on the Space Coast Prayer Breakfast and how to attend this event, please visit www.spacecoastprayerbreakfast.org.